We work at the federal, state and local levels to improve policies and strengthen supports and opportunities for young people. 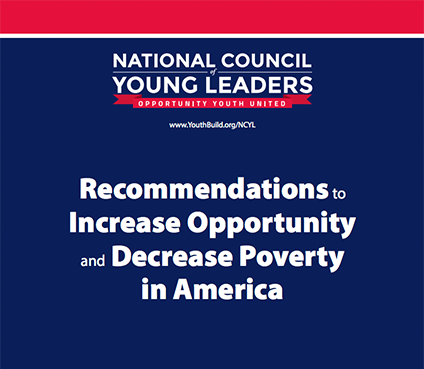 Our Recommendations to Increase Opportunity and Decrease Poverty in America publication highlights ways to expand pathways out of poverty for Opportunity Youth. It also details systems changes for education, upward mobility, criminal justice, community development and family supports to decrease poverty and build supportive communities for all Americans. We believe these should guide all political candidates interested in addressing poverty and injustice. 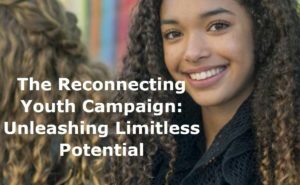 OYUnited is a core member of this collaborative national campaign calling on Congress to fund education, job training, national service, and employment opportunities for 1 million 16- to 24-year-olds each year.